This is how I cut up Posh Chunks. If you're not familiar, Posh is a company with skincare items. Everything is under $25 and they have $5 shipping on any order. All natural and made in the U.S. it has become increasingly popular over the last couple years. I've been obsessed since I first tried their items a couple months ago and my favorite item is by far their Chunks. It's bar soap, but it's HUGE. Taking it into the shower with me meant it would sit and get wet and would take months to use. So I started cutting them up and putting them in Mason Jars. 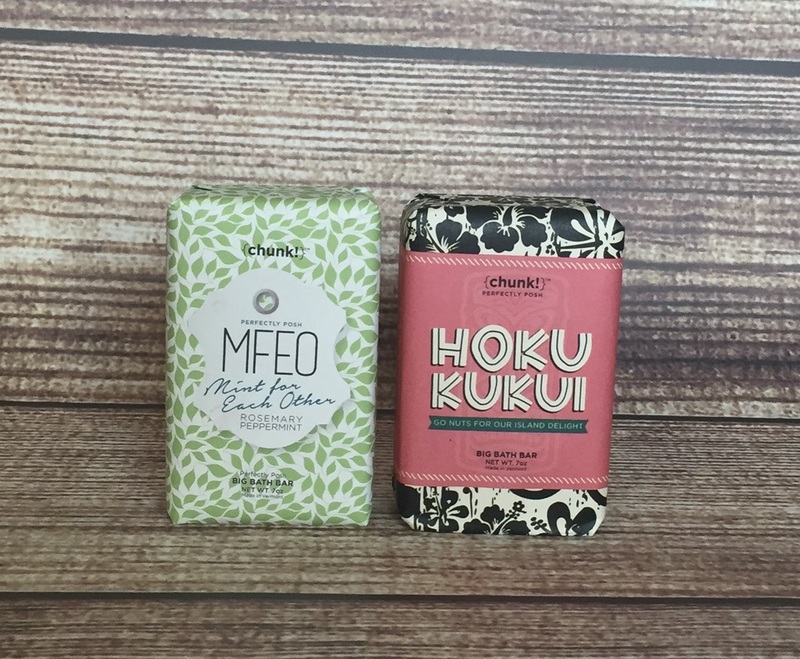 This allowed me to take in a small chunk, it helps the bars last longer AND I get to switch up scents often. 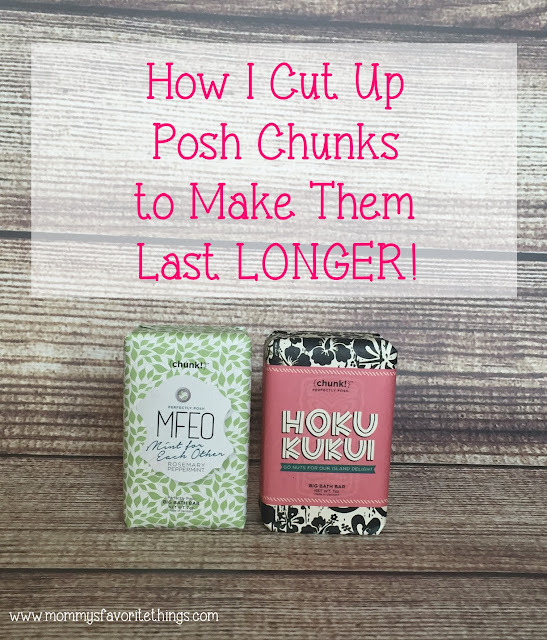 I don't like to take a few months to use 1 chunk when I know I have others in my drawer!! So I do it this way. Each small chunk lasts me a couple weeks and then I get to change scents, or I can take in 2 chunks (1 of each scent) and switch it up that way! First I gather my supplies needed. This includes my chunks, Mason Jars (get 16oz, these 8oz were too small), cutting board, knife and a small plate. 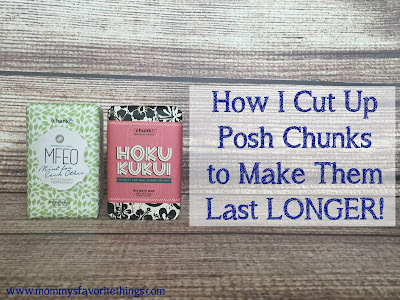 Then I carefully remove the chunk from the wrapper and cut the front of the wrapper off, I slip that wrapper into the jar so I know which chunk is in each jar. Place chunk on plate and microwave for 10 seconds, turn over and do another 10 seconds (I had to do this twice, for a total of 40 seconds.) This allows it to soften just enough to cut, but not enough to melt or make it mushy. Then I cut like below. I cut it into slivers. Do this for the whole length of the bar. Make sure to work fast and it stays soft or it will crumble on you! And that's it! 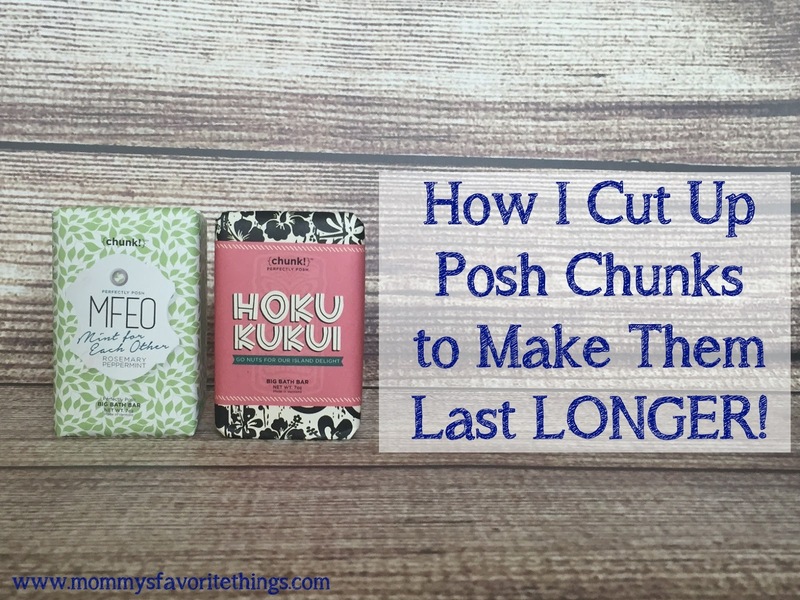 If you want smaller chunks cut these in half, like this. Then I just place the chunks in my Mason Jar and I'm good to go!!! 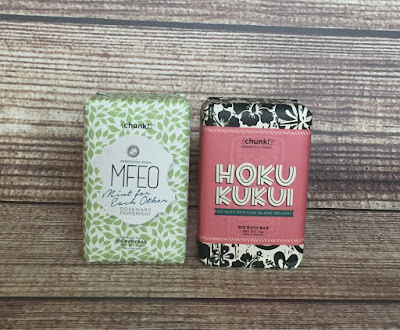 I keep them on my bathroom counter and grab a new scent when I please! My Jars were too small, so I put the rest in a ziploc, these can go in my drawer. They don't look as pretty but work just the same. Great idea! Does it actually last longer! I love the idea to be able to mix it up.